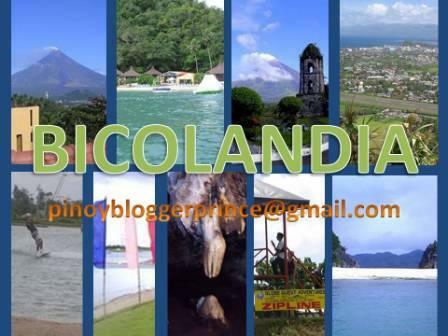 IF YOU are planning to go somewhere this summer, GO for BICOL. Either you are coming in directly from abroad or from Manila, here are some tips to guide you on how to get to Bicol easily and economically. With me as your virtual guide, I'll make sure your minimal budget will suffice. And, rest assured you'll get nothing but the best deals- from cheap good food, rewarding local trips, safe and economical hotel accommodation, and most importantly- polite tour guides who will happily take you and your companions around Bicol for only Php500-fee a day($11). However, to get the best out of the $11 that you are paying them, make sure you do not starve these tour guide/s. Okey? The secret is to book your flights as early as NOW to avoid missing the summer fun! So, let's keep the ball rolling! Call your travel agencies and book your flights to the Philippines and to Legazpi City. Or, sit down, surf the net and start browsing for cheap package deals. Early reservation cost much lesser than those that are made just weeks before your intended dates of departure. For you to ENJOY the beaches in Bicol to the max with a bonus of not missing the sighting experience of the "Butandings" (friendly whale sharks) in Donsol Sorsogon, visit Bicol between March~June. Hotels in Bicol are mostly the same. Clean, safe, and employs only trustworthy and accommodating staff. Still, it will not cost you anything if you take extra care of your belongings. Note: Make sure that you arrange everything from Hotel bookings to licensed tour guides who will take you around when you get there - prior to leaving for Legazpi City. There are 2 airports in Bicol. One is in Pili, Camarines Sur (for small aircrafts only) and the other is in Legazpi City. Take Legazpi bound flights. From Manila, there are 2 flights bound for Legazpi City daily. Philippine Airlines and Cebu Pacific. There is also one flight coming in from Cebu, and that is via Cebu Pacific. All Legazpi bound aircrafts are Airbus 300s and occasionally, bigger ones land there too..
FROM THE AIRPORT, you can hire local taxi cabs to take you to your Hotels or make sure to ask your booking agents if there will be shuttle buses or transport service cabs waiting at the airport to take you to your hotels and vice versa?